My December/Christmas Violet Box arrived (in mid-December) with an intriguing selection of beauty, hair, body and food goodies! I love the surprise of opening up a box of goodies from Violet Box as they always include a wide selection of hair, beauty and skin products. I love discovering new beauty brands, so I was uber excited to see some beauty products from Sweetpea & Fay Cosmetics. Unfortunately, I was meant to receive a Jelly Pong Pong Wide Awake Palette, however, this product was damaged during transit. Apparently, this palette will be included my next Violet Box in January. So, to make up for this blunder, Violet Box have generously included two pigmented mineral eyeshadows for me to experiment with. 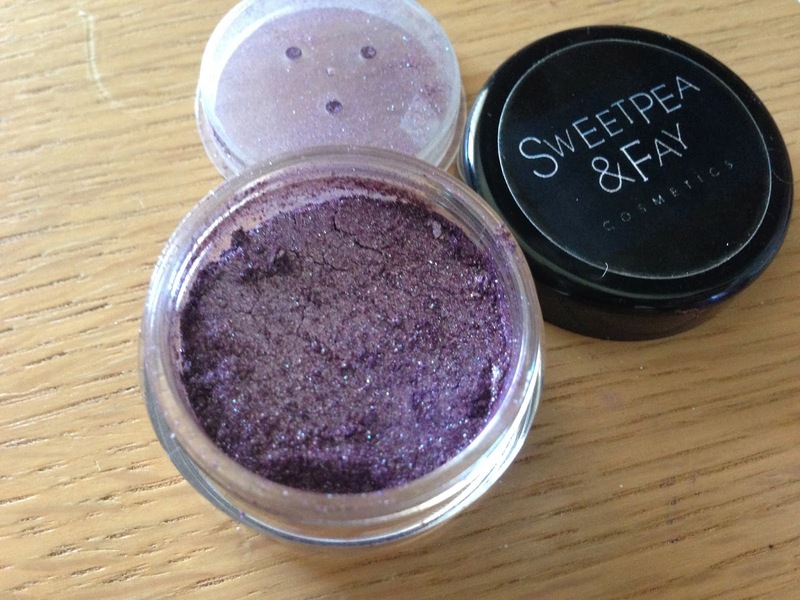 Sweetpea & Fay Mineral Eyeshadow in UFO Sightings. 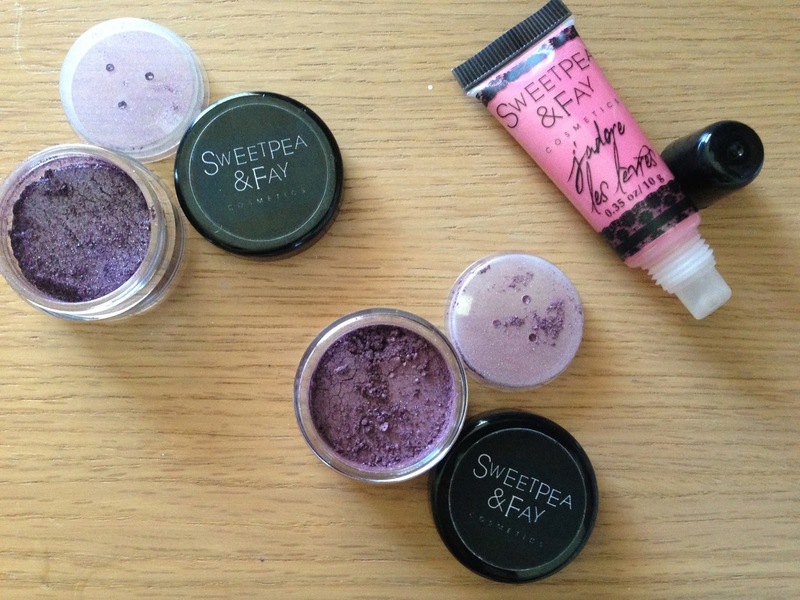 Sweetpea & Fay Mineral Eyeshadow in Tom Foolery. UFO Sightings is a dark purple with shimmery flecks of silver and baby blue and Tom Foolery is a mauve shade with silver shimmers. 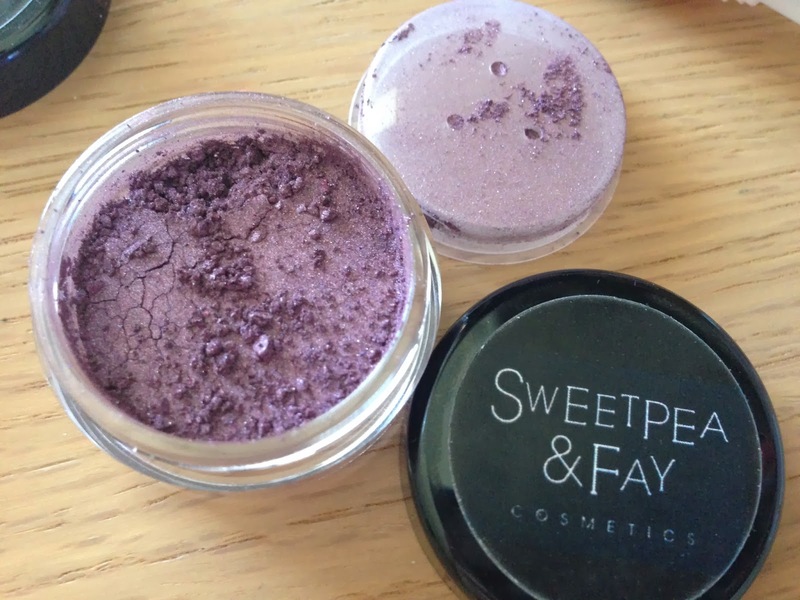 These two shades of purple are incredibly shimmery and they also compliment one another so you could use these shades to create a purple smoky eye. Sweetpea & Fay J'Adore Les Levres in Mermaid Kiss is a hot neon pink which is super pigmented and applies on opaque. 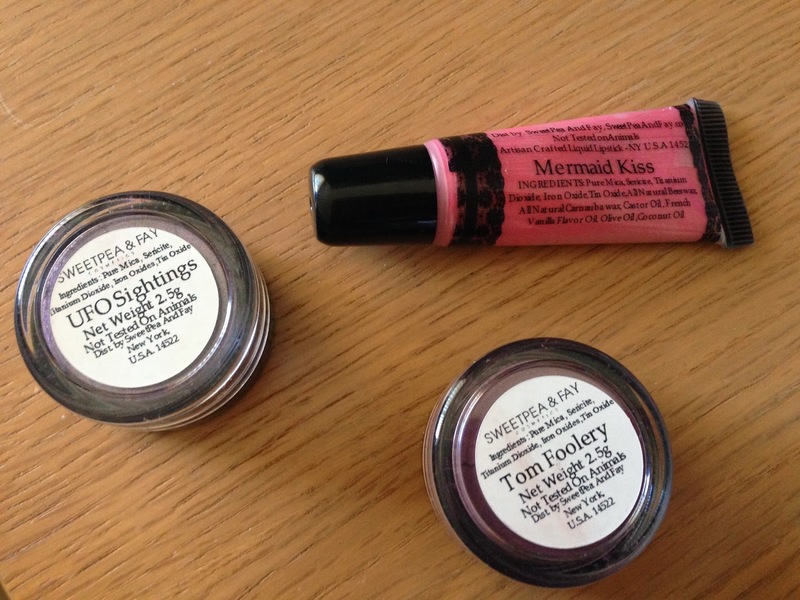 The shade Mermaid Kiss is a little too bright for my liking, so I will probably give this one a miss. I haven't tried EVO hair products at all, though I've heard many great reviews on these. It's nice to have the opportunity to finally try the shampoo and conditioner! 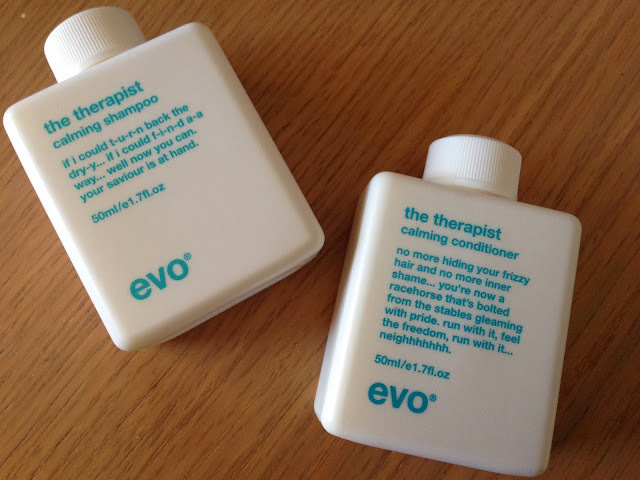 Evo The Therapist Calming shampoo and conditioner is recommended for dry, frizzy and colour-treated hair, so this is right up my alley! Crabtree & Evelyn products are so luscious and divine! 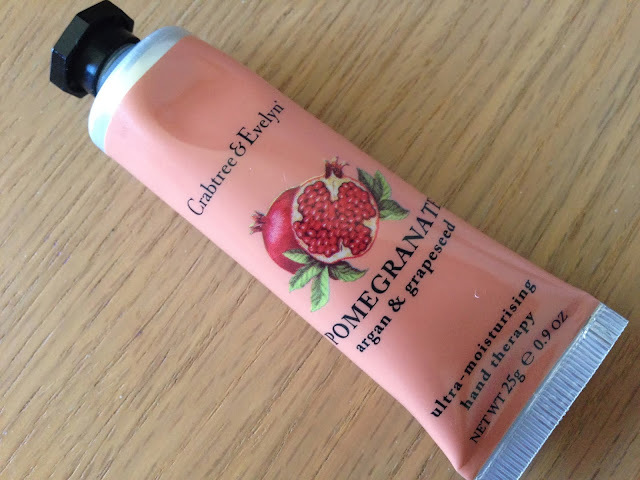 I was so happy to see a tube of their Pomegranate hand creme in my Violet Box! The scent of Pomegranate with argan oil and grapeseed is just so so so beautiful! The cream feels lovely and makes my hands and cuticles feel well nourished and moisturised without leaving any residues. Truly a must-have for my hand bag! HelloFresh is a food delivery service which provides you a selection of ingredients for you to whip up a healthy meal following one of their many recipes. 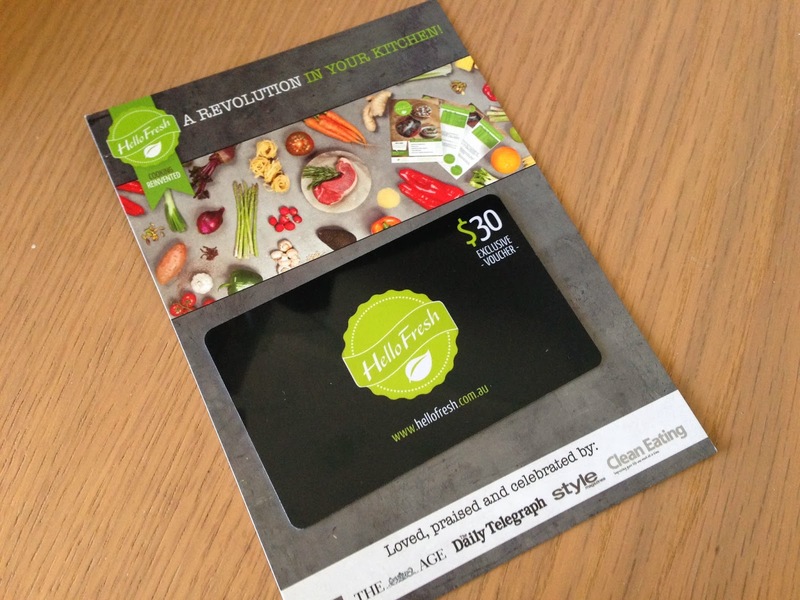 I find this an interesting concept and also a nice surprise to find a $30 voucher in my box. Overall, I was quite happy with my Violet Box, despite missing out on receiving the Jelly Pong Pong palette in the December box. I was really excited to have the opportunity to try out the Evo and Sweetpea & Fay products which were brands that are completely new to me. 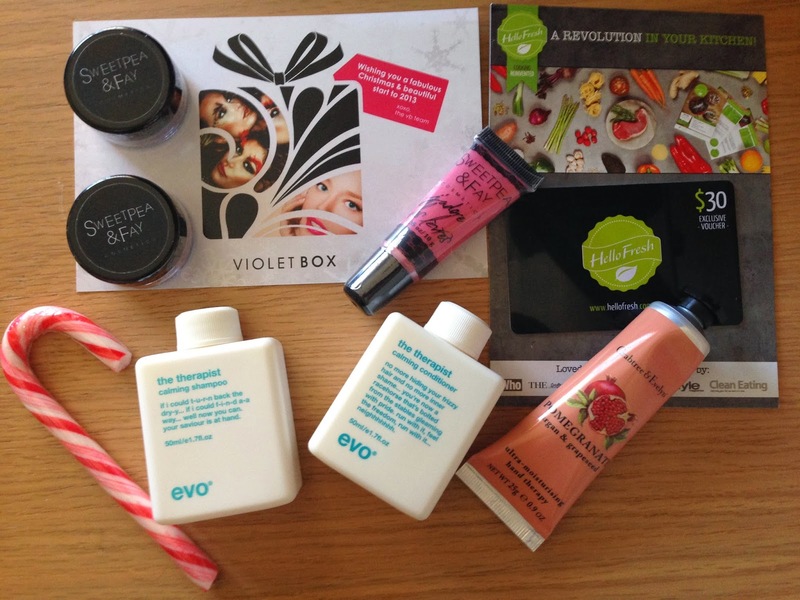 What do you think of the December Violet Box? Did you receive the same contents? Products were provided for consideration only. This review is 100% based on my own thoughts and opinions. I am not affiliated with Violet Box and did not receive remuneration to post this product review.